Mesothelioma cancer patients and families looking at alternative treatment options were encouraged Tuesday by voter approval in three states that should make it easier to obtain and use marijuana without worrying about legal consequences. Marijuana, another term for the cannabis plant, has been lauded for medicinal purposes, despite federal laws that restrict its use. It has shown to be effective in relieving nausea and anxiety, controlling pain, improving appetite and sleep quality, all of which are problems for many cancer patients. A recent study in California also has shown that a chemical compound found in marijuana has the potential to stop the metastasis of certain aggressive cancers like mesothelioma. Voters in Massachusetts Tuesday approved an initiative that eliminates any criminal and civil penalties for the medical use of marijuana, making it the 18th state to enact such a policy. It is aimed at patients with AIDS, hepatitis C, Lou Gehrig’s Disease, a variety of cancers like mesothelioma and other medical conditions that might be helped by marijuana use. Voters in Colorado and Washington took a historic leap and approved the legal use of marijuana for any purpose, provided the user is 21 years or older. They became the first two states in America to completely legalize its use. Others are expected to follow, building momentum for a movement that has been brewing for several years. The mandates in Colorado and Washington, which already had laws allowing medicinal marijuana use, still may face challenges from authorities because of federal laws that make it illegal. According to NORML, more than 20 million Americans have been arrested for various marijuana offenses since 1965, but more than 14 million Americans smoke it regularly. More than 60 health organizations in the United States and around the world have supported legal access to medicinal marijuana, despite the federal laws in America. Cancer patients undergoing chemotherapy treatments, who suffer from nausea and vomiting, have found relief from smoking marijuana. It also has helped stimulate appetite and promote weight gain, which often is a problem for many cancer patients. Despite the proven benefits, cancer patients still can be charged with a crime for possessing marijuana in the majority of states today. “We thank the voters of these states for helping to propel the nation to the eventual  if not soon coming  end to cannabis prohibition,” St. Pierre wrote on his blog. Marijuana proponents also were dealt some setbacks on Tuesday night. The voters in Arkansas rejected a similar initiative to what Massachusetts passed. The state of Oregon rejected an any-purpose marijuana bill much like Colorado and Washington passed. And Montana approved a plan that will make the use of medical marijuana more restricted than it had been in the state. The marijuana law in Massachusetts will require a patient to have written certification from a physician that specifies their medical condition. Patients can receive a 60-day supply of marijuana and in some cases be able to grow marijuana in their homes. The law also will allow the state to provide 35 treatment centers, including at least one in every county. And it does not supersede any non-medicinal laws regarding medical distribution. The legalization of marijuana has gained considerable acceptance in recent years. 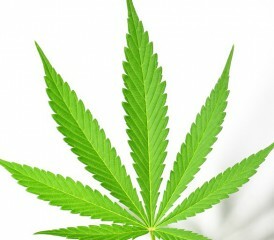 In October 2011, Gallop released a poll that found 50 percent of Americans favored ending the prohibition of marijuana. The same poll a decade before found that only 34 percent of Americans thought it should be legalized.